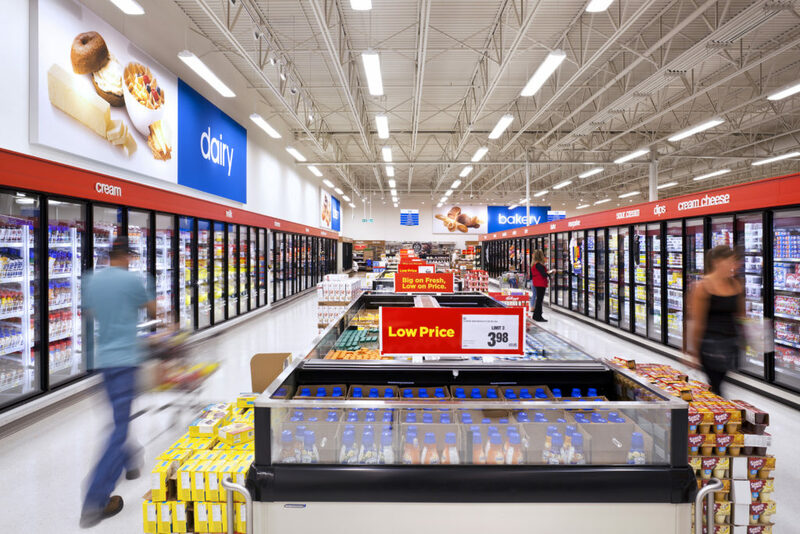 With a long history of bringing Canadians a one-stop shopping experience, Turner Fleischer Architects has been working with the Real Canadian Superstore and Loblaw Companies to improve the customer experience, and design stores that increase the brand’s presence. Following the sleek lines of the client’s branding strategy, Turner Fleischer created a streamlined look for various stores, adding a pop-up roof for enhanced natural lighting and a dramatic entrance vestibule. This feature, now integrated into several locations, adds a sense of place and welcomes shoppers in their stores. 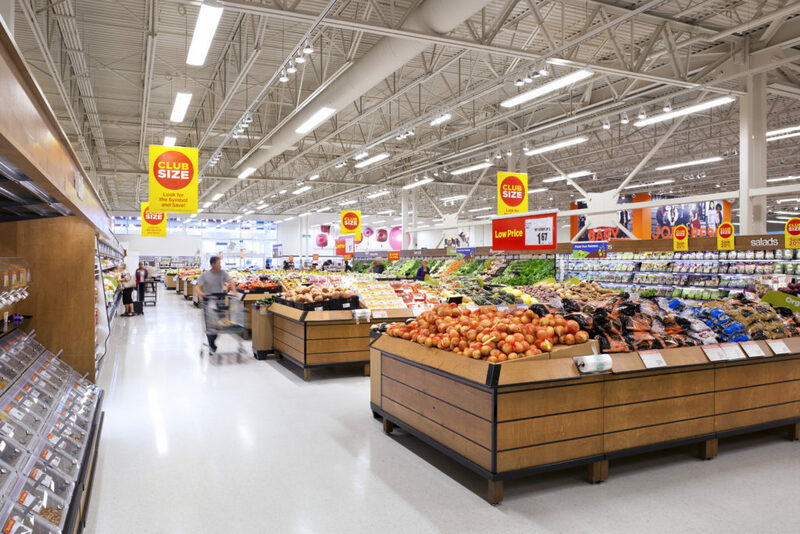 With a wide range of relevant experience to ensure a successful roll-out and implementation strategy, Turner Fleischer provided approvals services, construction documentation, construction administration functions, store planning services and interior fit-out documents for The Real Canadian Superstore program. With expertise and specialized knowledge of the relevant experience needed in creating large retail environments of up to 100,000 sf, the Turner Fleischer team was able to effectively incorporate many community-friendly features such as a Goodlife gym, electronics department, pharmacy, drive-thru pharmacy, gas bar and community areas in many stores. The team also worked to design a cost effective and enjoyable in-store ambience.